The Islamic finance industry faces the same fundamental challenges and risks as that of conventional finance, including whether or not clients can fulfill their repayment obligations and when. However, recovery under Islamic finance principles is a significantly more sensitive undertaking and Islamic banks have to be very careful about how they approach the recovery process. Given the lack of precedent in such cases, effective documentation and a clear understanding of Shariah principles and other regulations is essential. Examine Legal Procedures and Issues in Default and Recovery – Where do Problems Happen? 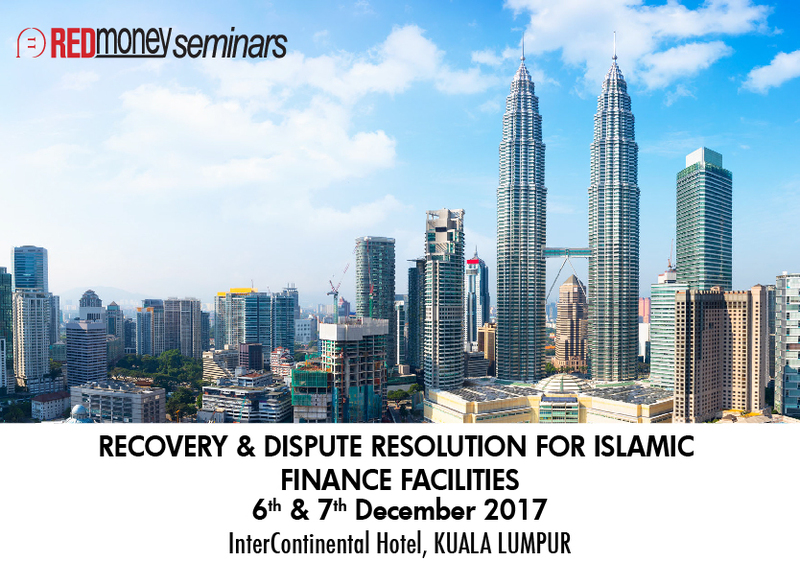 This essential session provides a refresher of key Islamic finance and Shariah principles and how they dovetail with commerce, banking and finance. In this session we shall examine key product structures and how they fit into the Islamic finance system. At the same time we shall be considering where crucial risks and potential problem areas may lie. This session will analyze documentation issues with regard to specific business financing structures. Again, we shall be looking for potential flashpoints and where problems may occur in the case of default. 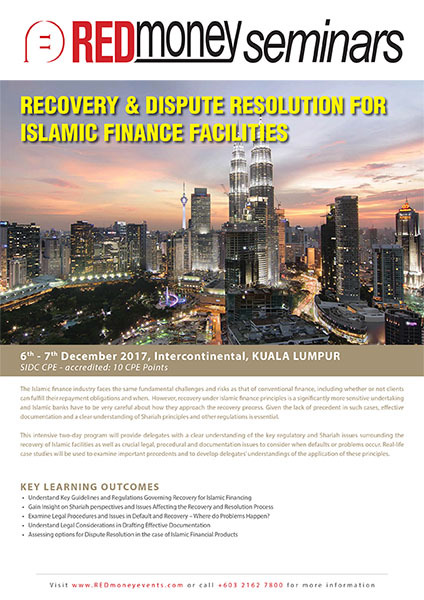 This session will help delegates understand the legal framework governing Islamic banking, as well as the key differences between how an Islamic bank may act as compared to an Islamic bank. What are the key documents that bankers need to be familiar with? Effective structuring and legal drafting early on can avoid significant problems in the case of default. Sharing of security with conventional loans – how can this be done? Understand the tools and courses of action available to an Islamic bank and how the case of default under Islamic finance differs significantly to conventional finance. What can an Islamic bank do and what steps can practically be taken from a legal perspective? Learn the legal procedures and issues in default and recovery – where can problems occur?